Today on adult “Sesame Street,” privileged, greedy piggies that start with A. The cases in point are Alex Rodriguez and AIG. At first glance, there’s not much to connect a baseball player and an insurance company, but allow me to suggest that both are examples of how unregulated capitalism turns the American Dream into the American Nightmare. Let’s start with the fact that A-Rod is Major League Baseball’s highest-paid player, and that AIG was once the world’s most valuable insurance company. That would be enough for most folks but, alas, it goes against the grain of a culture that all too often emphasizes maximizing value beyond the bounds of what reasonable people would call ‘enough.’ Alex Rodriguez was once heralded as the most talented player in baseball, skills that earned him a contract that yielded $30 million per year for suiting up for a game boys play for free. Not a bad deal, by any means. A-Rod was gifted with a body and skills that fantasy players would have sold their souls to possess. He was on track to become baseball’s all-time homerun leader and a shoo-in for the Hall of Fame. Then he lost his edge and, for a time, was considered merely as among the top five players in the game. Who among us would not wish to be in the top five of the pursuit of our passion? Alas, American culture places little value on being other than number one. Remember the Olympic swimmer who wept with disappointment because she only won a silver medal? Name the player who finished third last year in the Most Valuable Player voting for any American sport. 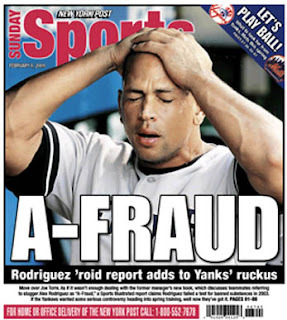 So when Rodriguez slipped from the top, A-Rod became A-Roid and he sought illegal supplements to give him back his edge. In so doing, he will be suspended for his role in the Biogenesis Clinic scan. He very well may have damaged his health permanently by pumping poisons into his body. A-Rod now has little chance of catching Babe Ruth (#3) on the all-time homerun list, and virtually none of surpassing Hank Aaron (#2) or Barry Bonds (#1). He may not even get the chance to hit 14 more to pass #4 Willie Mays. There’s a pretty good possibility that, once the farcical dust has settled, the Yankees will void his contract and that A-Rod will be banned from Major League Baseball. So long Cooperstown. Alex Rodriguez was vain; AIG was/is arrogant. It’s currently suing the government to recover untold billions it claimed it lost during the period of time the government controlled 80% of its stock. Talk about ingrates! 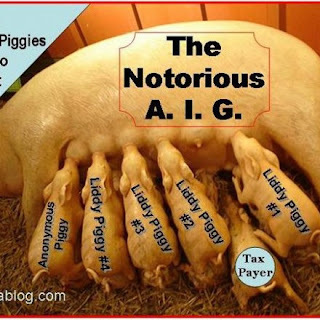 AIG took $182.3 billion of taxpayer money when it was near collapse in 2008 and now has the audacity to moan that stockholders were shortchanged of potential dividends during a period of time in which they could have wiped their rear ends with their stock certificates if Uncle Sam hadn’t saved their heinies. American International Group was in the insurance business, but it used over $440 billion in credit default swaps to insure securities mostly tied to the mortgage market. In essence, it used the value of its insurance portfolios to buy mortgage securities that turned out to be overpriced. It also dabbled in hedge funds, derivatives, and other high-flyer games. In other words, AIG played the Stock Market with funny money—on-paper assets based on wishful projections of the future. Mind, it did all of this while it was already under investigation for questionable practices in the field of what was putatively its number one product: insurance. And it did so at a time in which it was a multinational company doing business in over 130 nations and had a workforce of around 118,000. Its total assets were valued at over $1 trillion. Don’t you think that would be enough? I guess it wasn’t enough merely to dominate the insurance industry. Maybe AIG executives couldn’t countenance the fact that there were actually 17 richer companies in the world. I can’t think of what else would prompt them, including Hank Greenburg who was forced out in 2008 and is now championing the lawsuit against the government, to gamble in the Stock Market like a Vegas drunk holding at 15 who just doubled down a blackjack bet with his last hundred. In 2013, AIG is still a big firm: 63,000 employees in over a hundred nations, though its current capitalization value is a paltry $57.5 billion. Like A-Rod, AIG is busy blaming others for its woes. We can only hope that both A-Rod and AIG go away. If there’s one thing we no longer believe, it’s that any star or company is too big to fail. Let them perish, and don’t expect a lot of mourners to line the graveside. 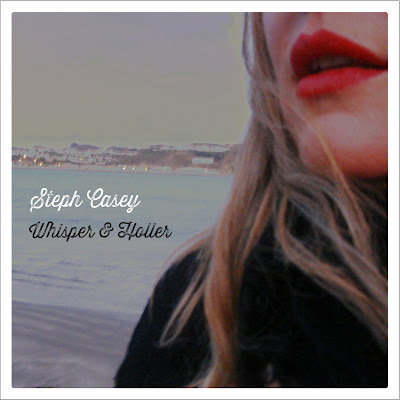 Write the epitaph: “Choked to Death on Self-Fed Greed.” As for we survivors, it’s time to change the culture. Salary caps and a restoration of business regulations would be a good place to start. The wisdom to quit while we’re ahead would be even better.